The Appliances in your home or business not only are convenient, but are important to your way of life and your health. However, over time appliances become worn out or you choose to purchase new and more energy effiecient stoves, refrigerators, air conditioners and other appliances. This means you either have to give away or dispose of those appliances. Getting rid of those old appliances isn't an easy task, many appliances contain Ozone and have to disposed of in certain ways and most household appliances are large and bulky and can't be disposed of in normal garbage recepticals or set out on the curb for garbage disposal. In addition, hauling those heavy appliances is a back breaking task without the right equipment and knowledge. 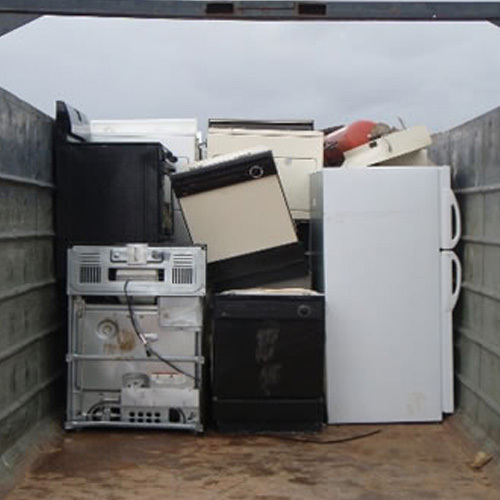 If you try and dispose of your old appliances and do it incorrectly you can incur stiff penalties and fines, which makes it difficult if not impossible for most Brooklyn residents to dispose of their appliance themselves without a lot of frustration, headaches, and possible high costs. 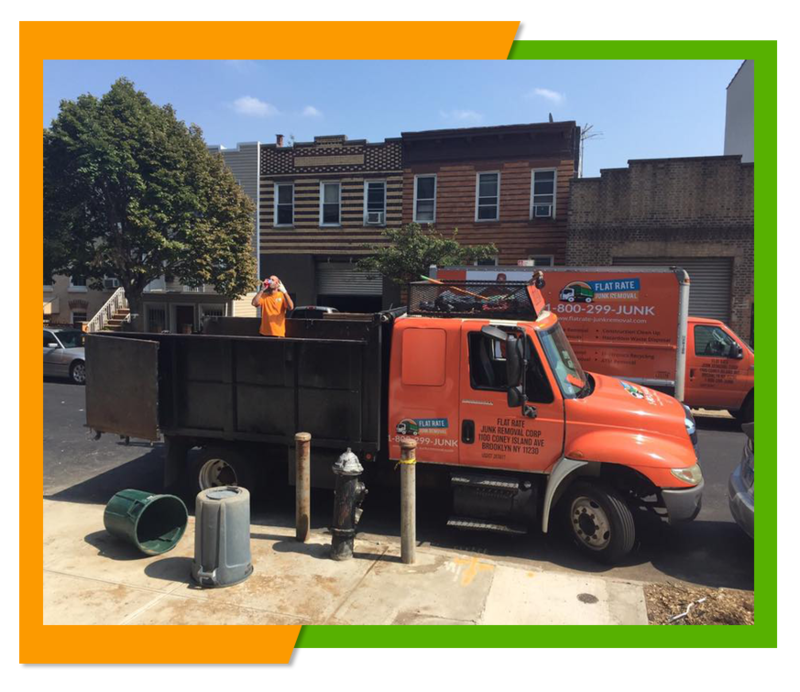 Here at Flat Rate Junk Removal we can provide you with the Appliance removal services in Brooklyn you need when you need it. Here at Flat Rate Removal we do all of the work for you. All you need to do is set up an appointment and our two man crew will arrive with a truck and all the needed equipment to remove those appliances for you. 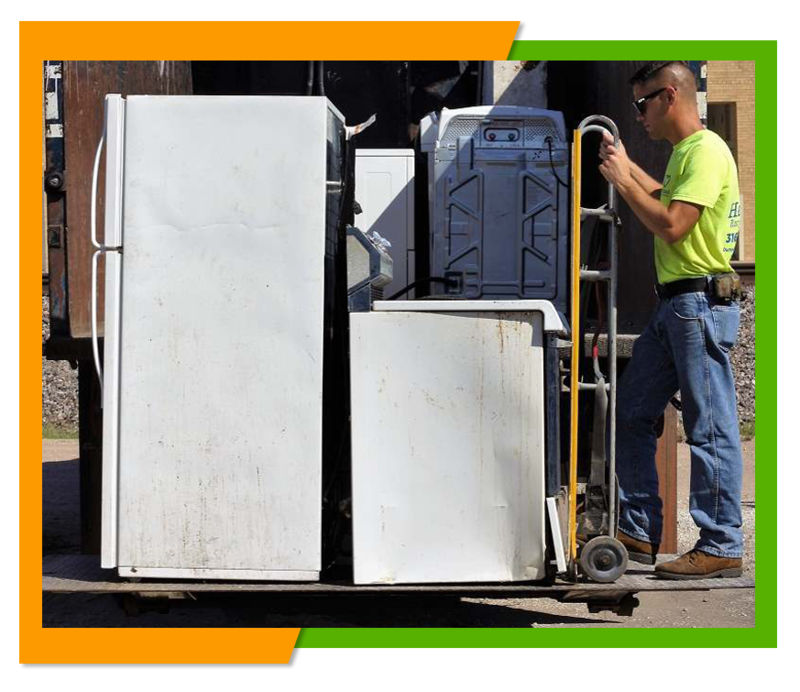 You simply point out the appliances that you wish to have to removed and we them we load them up, put them in our truck and haul them away for a very reasonable cost. You won't have to worry about fines or penalties. Once we remove those appliances from your property you won't have to think about them any longer. We are in the business of dealing with people on a daily basis, which is why each of our two man crews are not only choosen for their ability to complete the task, but also for their ability to be friendly and professional. Our crews will handle every thing for you making that junk removal as simple as possible. In addition, we keep our fees simple and let you know all of the costs up front so you'll be surprised by any hidden costs you had no knowledge of. To view some of our prices looking at our pricing page right here on this website www.flatrate-junkremoval.com. To get a free estimate or to schedule an appointment to have those appliances removed, give us a call at 1-800-299 and we will be happy to be of assistance to you.